Mesa Verde is just one of those places you need to see once in your lifetime. You can look at all the photos you want of the Pueblo ruins, but nothing compares to standing inside one, or even viewing one from a lookout. And what's there can really not be described as ruins. While some repairs have been made, many are largely intact, dating from the 12th century. You can buy tour tickets to three different cliff dwellings, including Cliff Palace, pictured here. You must buy tickets at the Visitor's Center, so do that as soon as you enter the park, and be prepared in case they are all sold out for the day you arrive. We picked up tickets for two tours, spaced perfectly to allow a lunch break between. Cliff Palace is the largest structure, with 150 rooms. You can walk along it and peer into the doors, windows and kivas. Balcony House, our second tour, is not for the faint of heart. It requires a 30-foot ladder climb, squeezing through a small tunnel, and working your way through another tight spot. But it was totally worth it to see the view the Pueblos enjoyed, living on the edge of a cliff, with nothing but a partial wall to keep you from tumbling to your demise. It was thrilling. 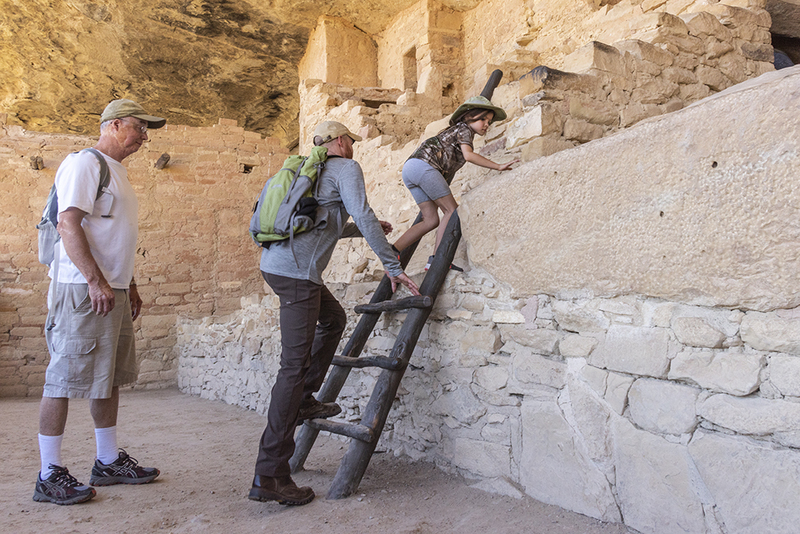 In addition to these cliff dwellings, there are many more structures you can explore. They are located on short hikes from the driving road, and are as old and older than the cliff dwellings. They include homes and even a reservoir. Everyone comes to see the cliff dwellings, and rightly so, but the views as you are driving through the park (it's an hour at least from the Visitor's Center to the tours) are spectacular.